Pitching stories is one of the essential skills of a PR professional. Yet it is surprising how many PR people neglect the basics of how to pitch what to whom. In most cases, a little thought and preparation can help PR pros avoid these kinds of mistakes. Yet they continue to be made on a regular basis, as any working journalist or editor can attest. Here are some common pitching errors and how to prevent them. Doesn’t know the publication. When a busy editor gets a pitch from a PR person who doesn’t know his or her publication, it’s an immediate turnoff. The pitch might be for a consumer story when it’s a business or trade publication, or the story might concern a sector of the industry other than the one that the magazine or website covers. In either case, the editor is unlikely to consider the pitch and will probably delete future emails from that publicist. To prevent this error, all you have to do is read sample articles in the publication or just glance at its home page. Doesn’t know the publication’s editorial policies. Even among trade publications, there is a wide range of different policies on how guest columns and news stories should be written. Some publications will not allow any mention of a client’s name or products. Others actively solicit promotional pieces (usually in exchange for ads), and there are variations in between those poles. The publications that take a strict stance against product promotion are more desirable for thought leadership, but some clients may want placement in publications that allow a mention of how their products helped their customers. The important thing is to know a publication’s editorial policies before pitching its editors. Usually, those policies are on its website. A PR firm should also ensure its writers follow these rules; if not, the publication may reject the piece. Doesn’t understand the publication’s slant. Depending on its audience, a publication might be looking for very specific kinds of stories and opinion pieces that cater to its readers’ interests. For example, a publication for CISOs will be receptive to pieces that focus narrowly on security but not on topics of general interest to CIOs, even though CIOs are also concerned about security. The editor will also look for trendy topics in that field, such as blockchain’s potential use in security. But if the publication has covered something frequently in the recent past, such as how to foil ransomware attacks, it may not be interested in that. To prepare for this possibility, do a keyword search in the publication’s archives or on Google. Doesn’t keep up with changes in direction. Some publications change their editorial direction, either because of a change in leadership or in response to market forces. Publicists should not assume that because a publication accepted certain kinds of pitches in the past, they will in the future. Keep up with what’s happening with key publications by reading them regularly, and also take note of personnel changes. When a new editor or journalist joins the publication, introduce yourself and ask what kinds of stories that person is looking for. Doesn’t pitch stories in a timely way. In the competitive field of journalism, timing is extremely important. If you pitch a news-related story too late, it will be rejected because no one is interested in that topic anymore. If a client has an important news story, it’s always a good idea to give key editors the news just ahead of its release on an embargoed basis. But don’t provide the release to just one editor, or the others will feel slighted and will remember that the next time you pitch them. Fails to present the pitch concisely and intelligibly. Any PR professional should know how to write a good pitch, but it is surprising how many emailed pitches fail that test. In some cases, they go on interminably before getting to the point. Other pitches are so poorly written that they’re difficult to understand. You should always remember that editors’ time is limited and that they may have to read hundreds of emails each day. Just as in a published article, a catchy headline and a cogent lead will go a long way toward getting an editor’s or journalist’s attention. None of these mistakes are difficult to correct. With a fairly minimal effort, publicists can learn what publications want and how to deliver it. By doing so, they can vastly increase their chances of having their pitches accepted and of placing articles in sought-after publications. Should People in Pancake Houses Throw Burgers? If you spend any time on the Internet not exclusively dedicated to work, shopping or seeing what new shame Cousin Frank is bringing to your family on Facebook, you understand that the Internet’s true purpose is to facilitate a relentless parade of jokes, memes and reaction videos related to anything and everything going on in the world. So if you’re a beloved brand trying to navigate this ocean of hot takes, dry bon mots and raunchy non sequiturs do you A) be very careful so as not to become instant joke-fodder, or do you B) hit the gas and drive right into the lion’s den of Twitter comedians and smug Photoshoppers? Well IHOP was willing to take that risk and it looks like it’s paying off. IHOP, which most of us will remember from our 20s, decided to play fast and loose with its deeply rooted brand, changing its name (temporarily) to IHOB in order to draw attention to a promotion around its new burger menu. The breakfast giant, loved deeply by both syrup-addicted toddlers and exhausted college students in need of a 3 a.m. carbo load and every hilariously specific demographic in between, made the bold choice to proclaim “We are a burger joint now!” Did this get made fun of? You know it did. These are just a couple of the jokes. But in activating this promotion, IHOP had to have known what it was in for. If you take a look on Twitter, one very common quip by the millions of self-styled witticists is “Oh, yeah, when I think of a great burger, I think IHOP,” – the late 90s favorite “NOT!” is, of course, implied. But, guess what funny peeps? That was the point! Did you suddenly find your mouth forming the words “IHOP” and “burger” in the same sentence? 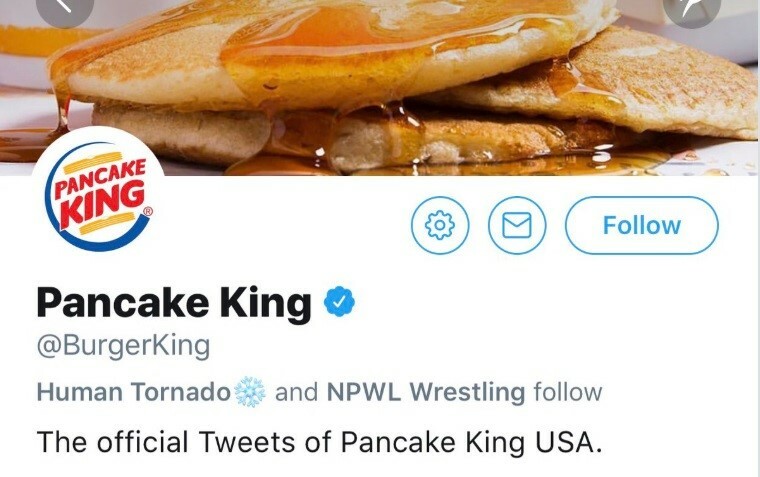 I’m guessing that a profitable percentage of people out there poking fun at the Pancake House are going to, at some point this summer, give one of those new burgers a try. IHOP’s gambit has a lot of people talking about them – and their own competitors took the bait and are using their resources to talk about the promotion. Sure, they get their jokes in, but they’re also strapping a jetpack to IHOP’s message and blasting it into burger-loving faces by the thousands. It’s a great example of using a little creative thinking to drive your brand awareness. Do the Tweets, Grams and quill-written letters on parchment decrying this name change hurt IHOP’s feelings (or brand)? I’m guessing no; if the stunt sells burgers, they won’t mind at all, and once the promotion ends, people still enjoy pancakes and will continue to do so, internationally. So what’s the lesson? 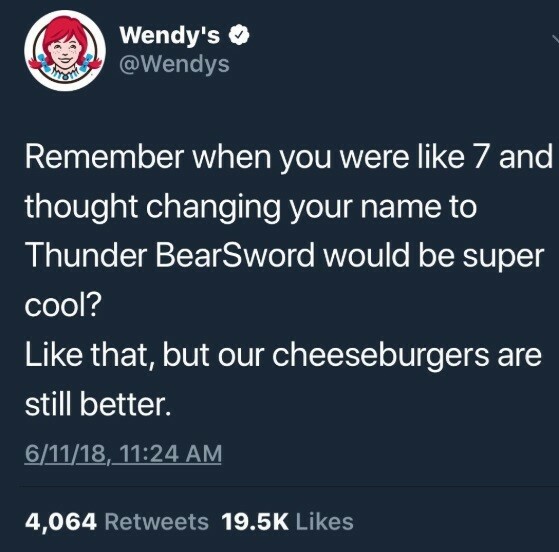 Maybe we shouldn’t treat our brands like sacred idols and, instead, understand that people on the Internet are going to make fun of us no matter what. IHOP understands that if they’re in on the joke, they can have the last laugh. Recently, I heard someone speak about Integrity and the importance of having it in all aspects of your life. It might sound like a simple concept, but when someone, especially someone in a leadership or advisory role, doesn’t apply integrity in their life, there seems to be a great deal of fall-out. And let’s face it: it can be news-making in the worst conceivable way. Integrity is “a firm adherence to a code of especially moral or ethical values; soundness of character; honesty or a state of being whole.” Another definition is a “concept of consistency of actions, values, methods, measures, principles, expectations, and outcomes.” I like to define it as always doing the right thing when nobody is looking. I began thinking about how essential integrity is in business and certainly as a part of public relations. When we as PR people are responsible for building our clients’ brands and reputations, integrity is most certainly an important attribute. To support this belief, the Public Relations Society of America (PRSA) has developed a Code of Ethics as part of its commitment to integrity and expects its members to adhere to this Code. It is our role as PR practitioners to advocate on behalf of our clients and advise them on what is in their best interests. Sometimes those interests contradict what we know to be right or perhaps goes against our own best business interests. This is where integrity is essential. PR practitioners tend to be people pleasers. We want to make our clients happy. However, our clients engage us to provide more than just a service, they retain us as advisors who get results. Sometimes saying “No” and explaining why a client request is not in their best interest is part of our role. I have heard two theories throughout my career. The first was “He who has the gold, makes the rules.” The other was, “Clients change. It’s your relationship with the media that you need to hold sacred.” I personally adhere to the second theory. Don’t misunderstand, I truly value my clients; but they generally hire me because I can obtain coverage for them in the press. Honesty, providing accurate information, meeting deadlines, and pitching appropriate information to the press is the foundation for a great relationship with the media. What good am I to any client (present or future) if I have burned a bridge with one of the key healthcare editors at a tier one publication because I conducted myself unethically or if I have a reputation for supporting fake news? Of course, we should treat each other with fairness, respect and pursue honest competition. Unfortunately, that is not always the case. As we seek to impress clients, build new business and grow profits, it is sometimes too easy to drift away from doing the right thing. I could share multiple examples of backstabbing, bad-mouthing, and undermining colleagues that I have witnessed throughout my career. But more frequently, I get to see colleagues supporting each other, providing meaningful honest feedback, helping peers to grow and learn new skills, and working as a team towards success and to support our clients’ communications goals. There is a truth in six degrees of separation. It is a big, wide world, but the PR community can be small, and reputations follow us. At the end of the day, all we have is our reputations which rely heavily on the integrity we exhibit consistently. In the time that I have been with Amendola Communications, I have seen the highest levels of integrity demonstrated from management, to the account teams and with the administrative staff. Not only are my colleagues extremely knowledgeable and talented, but they consistently work in the best interests and to the highest standards for our clients, our media contacts, with each other, and the profession as a whole. I’m pleased to say that I work in an environment where complete integrity is one of the agency’s four key principles. The trust of clients, colleagues, the public, the media and the wider community is fundamental in maintaining a positive reputation in the PR industry. The subject of integrity might not seem the most interesting of topics, but it’s often misunderstood and something that we could all give more thought to. Earned media bylines and interviews get the most attention in healthcare public relations programs, but in many ways analyst briefings are even more critical to companies navigating a noisy and fiercely competitive marketplace. Admittedly, analyst reports don’t have the curb appeal of a slick vendor profile in a top-drawer health IT publication. But they make up for it in other ways. Many of your potential customers use the reports generated by KLAS Research, Gartner, AITE Group, The Advisory Board and others to evaluate vendors and solutions; better understand emerging healthcare categories, such as artificial intelligence and blockchain, and how they are defined; and leverage the valuable primary and secondary research to make technology investment decisions. Analyst reports are also beneficial to vendors. They can be invaluable for testing market positioning, providing clarity on where a given solution type is on the hype cycle, and how close competitors are responding to the ebb and flow of market trends. If your PR executives are good, they are already researching all of the healthcare-specific analyst firms—and many of the cross-industry outfits—and scheduling briefings. If they are smart, they are helping you prepare to make the most of this opportunity. This post will assume that your PR firm has secured an analyst briefing and is helping you with strategy and tactics to maximize your opportunity. (If my assumption is wrong, let me know). Once a briefing has been secured, it’s time to prepare—even if the briefing is several week or months out. Preparation for analyst briefings can be resource- and time-intensive. A media interview may run 15 to 20 minutes and be handled in-person or on the phone. Analyst briefings can last an hour—if not more—and often involve prepared slide decks, input from multiple executives, a demonstration of the solution or platform, the willingness to provide detailed answers to questions about your company’s history, competitors and financials. Your PR executive should have a detailed understanding of what the analyst wants from this briefing, then help you edit and shape the presentation to align with those needs. Many analyst briefings veer off in the wrong direction because the company hasn’t invited enough people—or simply too many. We recommend that unless directed by the analyst, no more than three company representatives join the call. Those people should include the CEO, who can provide company positioning and higher-level commentary; the Chief Product/Solutions Executive, who can provide detailed information regarding the solution or platform; and the Marketing Executive, who can ably describe market positioning, customer outreach and information regarding competitors. Of course, other company representatives are free to join, but they should quickly introduce themselves, then place themselves on mute for the duration of the call. The goal of this briefing is to provide the analyst will a smooth, clear, coherent narrative about your company. That can’t happen with people talking over each other, drawing the conversation down a half-dozen blind alleys, and random background noise intrusions. Sometimes, companies are tempted to throw the kitchen sink at the analyst, covering every conceivable base from every conceivable angle. The intention is good, but attempting to cover everything since the Big Bang drowns the potential for telling a compelling story. We encourage our clients to keep slide decks and demos short. Not more than 10-15 slides and a demo lasting no more than 10 minutes. You want to explore the details, not get bogged down in them. As such, your slide deck should address your company’s most important competitive differentiators; provide a brief history of your company and a brief overview of its most relevant products; and offer compelling, results-oriented client success stories. Ancillary information that may provide helpful context can be delivered to the analyst pre- or post-briefing, for them to peruse on their own time. How long did the briefing take? Ideally, you should have left a generous space—at least 15 percent to 20 percent of the allotted time—for questions and conversation. Did the subject-matter experts talk over each other or contradict each other? Were their responses thoughtful without also being epic monologues? Were their answers transparent and sincere, or riddled with meaningless jargon? How was the flow of the presentation? Did anything feel missing, superfluous or out of place? Did the presentation hit on all the agreed upon value propositions? Did you finish with case studies and proof points? After your main presentation is done, the analyst will likely have final questions. This is a key intelligence-gathering opportunity for companies. Unlike media interviews, where the questions go in only one direction, analyst briefings allow for more back and forth. This is a good time to test your assumptions and theories about your positioning in the market or mine valuable insights from an analyst well-versed in your area of healthcare. Also be sure to leave your analyst with some takeaways—case studies, white papers and blog posts—that will provide additional context to the presentation. Analyst briefings require a lot of preparation, but done correctly, they can be invaluable sources of information about your market and a rich source of customer prospects.